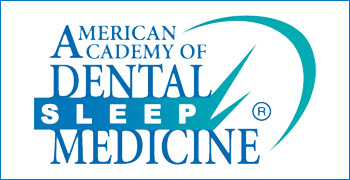 Dental sleep medicine is a field of dentistry aimed at the treatment of sleep-disordered breathing (SDB), or the occurrence of breathing difficulties during sleep. SDB often results in sleep deprivation, which can have a deep-seated impact on your physical, mental and psychological well being. As oral health practitioners, we work together with sleep physicians to devise the best care plan for patients suffering from sleep disturbances. If you don’t wake up feeling refreshed or experience daytime sleepiness, you should seriously consider dental sleep medicine.! In dentistry we are privileged to care for our patients with enough time and frequency that is not common in medicine. Sleep disordered breathing is identified with common oral signs and symptoms which the team at All About Smiles is highly trained to evaluate. Traditionally, sleep tests had to be conducted in sleep centers, but now they can be done from the convenience of your own home. We can even provide these for you at All About Smiles. When do you Need Sleep Medicine? If you suffer from snoring and daytime tiredness, or feel tired in the mornings. Oral appliance therapy involves wearing an appliance resembling an orthodontic retainer or mouth guard during the hours when you sleep. The device holds the jaw in a forward position which helps unblock the airway. It can also help cure chronic snoring. Research has shown that this therapy is an effective yet non-invasive way to treat the harmful symptoms of OSA. The appliance is easy and comfortable to wear, quiet, easy to manage, convenient, and portable, which is why it is very popular with patients. Oral sleep appliances are easy to travel with and easier to be compliant with than a traditional CPAP machine. If you are already diagnosed with some form of sleep apnea, and hate your CPAP, an oral sleep appliance may be the perfect solution for you. Sleep is critical for your physical and mental wellbeing. Without a proper sleep pattern, your body will be deprived of the rest it needs to de-stress and recharge, and this will eventually lead to life altering medical conditions if left untreated. If the lack of sleep has kept you away from being present in your life, NOW is the time to make that change!